An easy way to make your own Christmas wreath is to start out with a basic artificial Christmas wreath and embellish it from there. It is pretty easy to find a pine wreath with or without lights in a number of different sizes. You could also use a real pine wreath however, any work that you put into it would be short lived. The first idea that I found is a glamorous look with silver beaded garland, Christmas balls and a lighter green leaf throughout. There wasn’t a tutorial for this project, however, it looks like a garland of small silver beads was wired into the bottom half of the wreath with larger silver Christmas balls glued into the top. Some lighter green leafy vines add a nice contrast as well as the gold color picks. Simply attaching everything with hot glue and florist wire creates an elegant display. I like how the embellishments are heavier at the top than at the bottom. 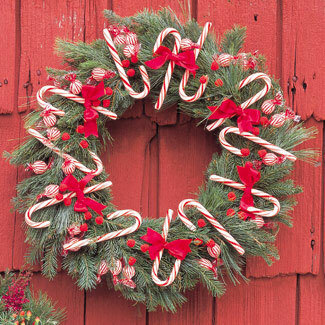 This candy cane Christmas wreath is both colorful and whimsical with the tasty teasers hanging there in a tempting display. Upholstery webbing was all that was needed to give this wreath a little more personalization and character. 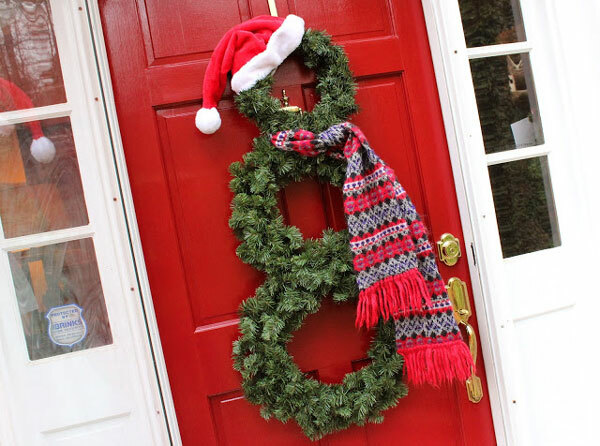 See how Vignette Design took a basic artificial Christmas wreath and added her own unique touch with this DIY banner. 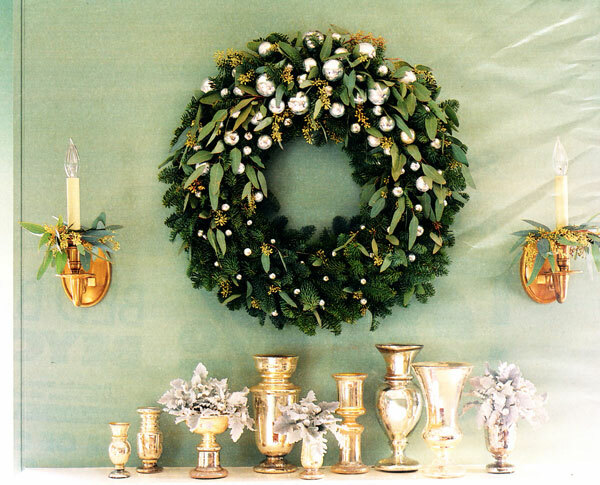 This could be my favorite dressing up of an artificial Christmas wreath….or wreaths..yet! Three wreaths in varying sizes make a perfect base for a snowman. Then, all you have to do is dress them up in your basic snowman attire like Booturtle did in this snowman wreath tutorial. 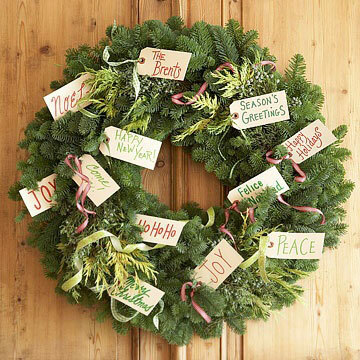 And finally, a fun way to personalize is to make a wreath with lots of friendly messages using gift tags. 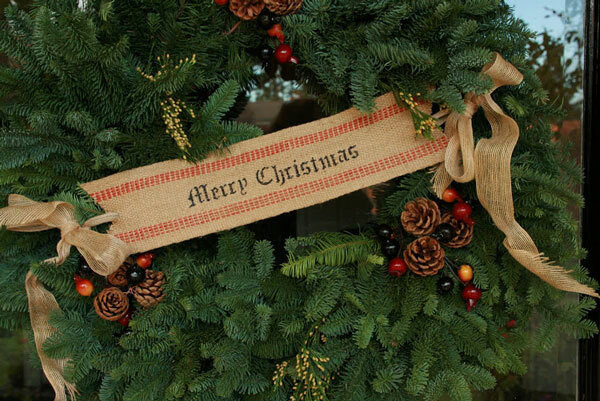 Just tie the tags into the wreath with ribbon and hang for a nice greeting for your guests. Check out all of the diy wreath details from BHG!